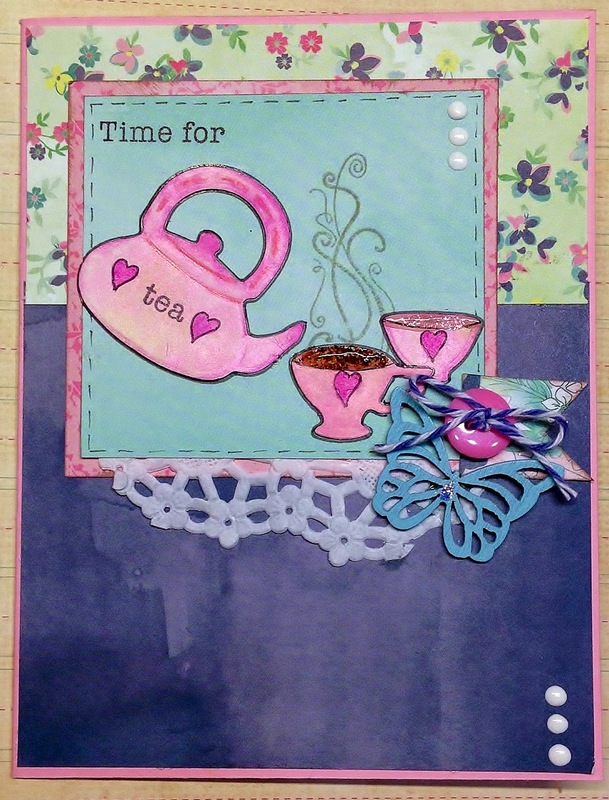 Karla Yungwirth Designs: Time For Tea! Oolong Anyone? Time For Tea! Oolong Anyone? I started off by pulling out some diecuts I had cut from a Spellbinders die, and in the spirit of using up my stash, (thanks Supplies On Hand class!) I thought they'd be perfect for the theme of this card, We're All Mad Here from Stuck On U Sketches based on Alice In Wonderland's tea party. I used some Basic Grey (I think...) papers that came in a card kit from Simon Says Stamp last year and the card sketch from Deconstructing Jen #172. I had originally cut these diecuts from a plain cardstock, so I painted them with some Distress paints and highlighted them with some Distress Markers before stamping with the heart stamps and sentiment. 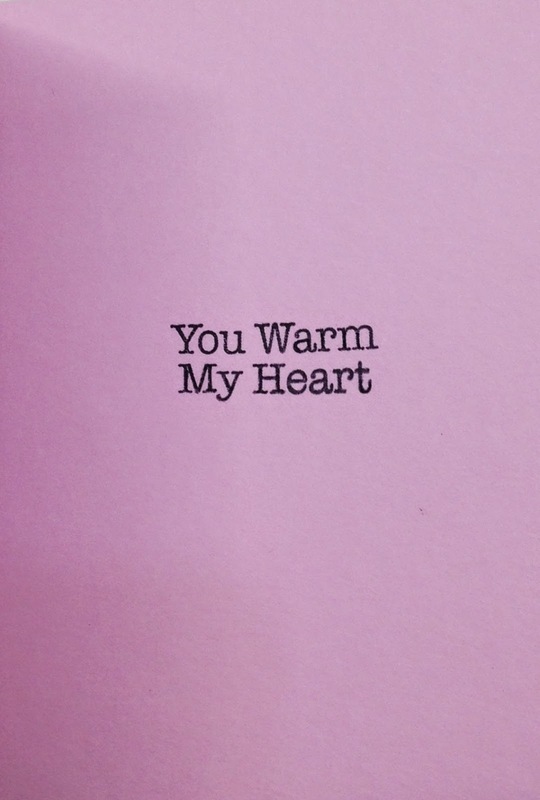 The sentiments on the outside and inside are from CTMH- A Sip stamp set. I used some white Enamel Accents to create dots on my focal image and at the bottom right. I used some Stickles in the sugar bowl and coffee cup and then used Glossy Accents. I am really focusing on pulling out those buttons, twine and embellishments that I have in my stash. The banner is handcut and I edged it with Distress Ink. 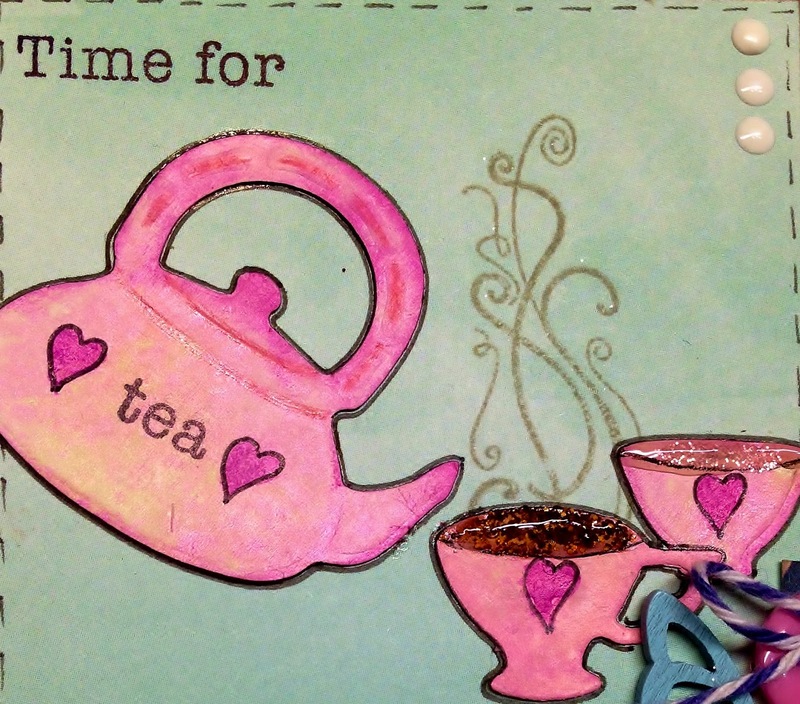 This was really a fun card to make and I can't wait to send it to a friend, maybe with some tea inside! I hope you're having a great week so far! Thanks for joining me today! super sweet creation! So glad you joined us at SOUS! Pretty Cute Stamps - Oh Christmas Tree! 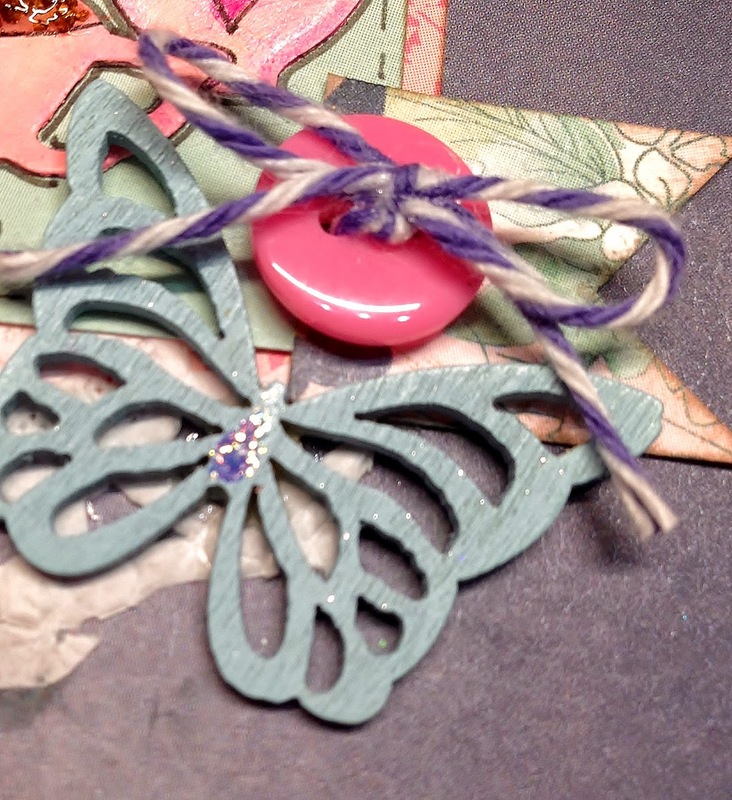 Stamping, Stenciling and Snowflakes, Oh My!